It seems like we can’t get through a winter without some people having really extreme opinions on blanketing. Don’t blanket your horses! It’s better for them to be all natural! Clipping them is basically the same as BREAKING THEIR LEGS!!!!!!! Only a foolish over protective person would blanket their horse! Don’t leave your horse out to the cold! 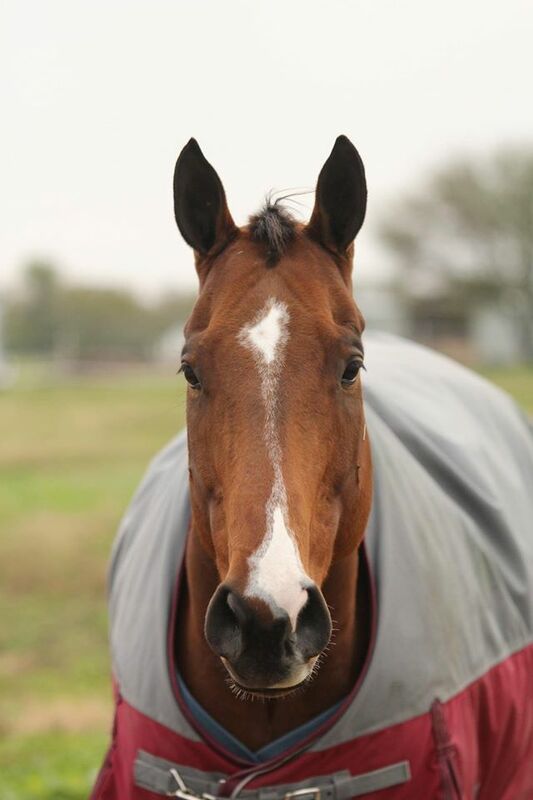 Horses have no natural defenses to the cold and the wind! 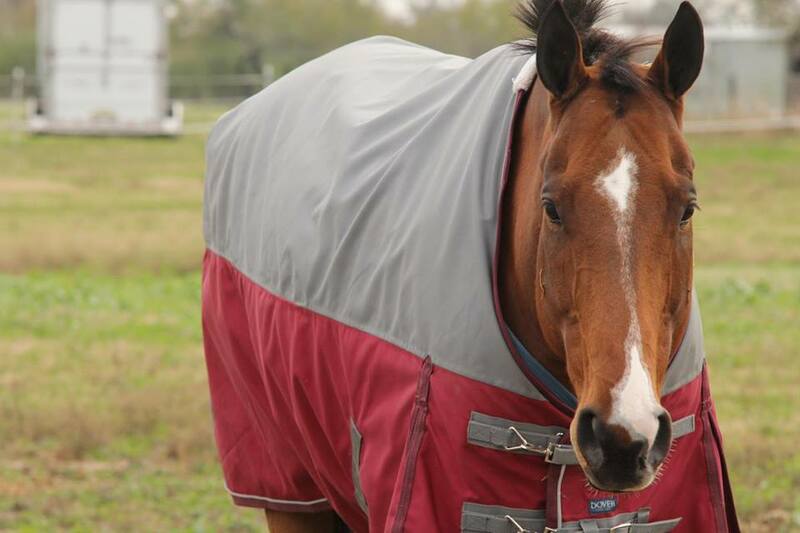 I would never let my horse out without a blanket if it was under X degrees! Only an ignorant person would never blanket their horse! So where do I stand? Like with most issues, I decline to take a black or white stand on the issue. This is Elvis in his winter coat. I clipped him only one out of seven winters. With me he always had some mild blanketing, but I know he’s gone without as well. Elvis is the kind of horse that gives 0 f’s about a stall or fine blankets. He’s been on 24 hour turnout in the past, and does well with it. I have no doubt you could probably leave him alone for 30 days (keeping up with proper feeding of course) and he would be 100% content eating in his field alone. Of course, you know Simon. Simon is a bit of a princess. He drops weight in the winter, and on 24 hour turnout he begins to look like a bit of a rescue case. He loves his stall and his stall toys. I have clipped him the past two winters, and will continue to do so. He heavily sweats in work, and without clipping he can take a while to cool out in the winter. Most nights he goes out, but if the weather is cold and severe (lots of rain) he stays inside with increased hay. If I break my riding routine of 3-4 days a week, he notices. If I take an extended vacation, he tends to give me the cold shoulder when I get back. My point about these two creatures is that horses are individual. Elvis was bred to be a tough and hardy work horse… so he’s pretty damn tough. Simon was bred to run on a track with humans as his top friends, companions and trainers. He thrives under an environment that gives him roughly 10 hours of turnout a day plus what he considers the “finer” things in life. These two horses were bred for different purposes, and I might treat them differently because of it. I don’t think either way is wrong. To me, it’s cruel to put your personal agenda before your horse’s needs. I believe some horses need to be blanketed, but I don’t doubt that many are blanketed un-necessarily. I don’t believe in throwing a pampered show horse in a field all of a sudden to be all natural with no acclimation. I don’t believe in taking a tough and hardy horse not used to a strict program and immediately clipping them and throwing them into a stall with a ton of horseware Ireland rugs or other blankets and lights. Those are my thoughts on blanketing horses. What are yours? You nailed it with that last paragraph. Some horses need blankets. Some don’t. Some need shoes. Some don’t. The only right answer is what’s right for your horse, not your agenda. It also makes a difference where you actually live with your particular horse. For example, Dandy did not need shoes in Nevada but he most certainly did in Washington. I’m with you. Do what is right for your horse in your environment. Well stated. I think your view is dead on and I try to subscribe to the same one. I think you hit it nicely. There is no one fits all answer. Like a size 76 isn’t fitting my WB and a size 82 isn’t going on my pony, horse are all different and have different situations. Agreed. Everyone has an opinion about blanketing and I think it should be based on each individual horse. Our barn blankets based on certain temps: below 57 degrees, pony wears sheet, etc but I am always changing things up with Chloe. She lives outside 24/7 and she much prefers that to stall life so her winter coat means that maybe she doesn’t need a sheet unless it’s under 50 degrees. I just kind of go by feel and she tends to need less blanket than I think she does. Totally agree with you! I blanket because mine are clipped. Even if they were not they would still be in sheets because its Oregon and that equals rain and mud and they would be covered in mud and wet when I go out to ride if I didn’t. That being said it is sunny, clear skies, and in the 60s here right now so everyone is naked! Science makes this mistake all the time: treating people (or horses, dogs, cats, things, etc.) as identical units in a group instead of individuals. Are there probably some mustangs who would benefit from a blanket out on their BLM lands? You betcha! And probably some horses wrapped up in nineteen layers in the polar vortex who are sweating their balls off. Of course, it’s much easier for lazy people to just go with the herd instead of paying attention to what individuals need… Also, fashion. Blankets ARE just another thing to monogram, of course. I agree. It seems to be human nature to want to lump everything into the same category. My mom’s huge Kentucky Mountain gaited horse who grows more hair than God will look at you funny if you blanket him until it’s getting sub zero. Mo (TB) LITERALLY SHIVERS when it is 35 when he is NOT clipped. Red has an internal core temp of molten lava but will absolutely fall apart if left in a field (which is what happened to him and why he needed to be rescued). Mo and Red get clipped because they are in work. Teddy, the KM horse, won’t get clipped this year probably, but I did clip him when Mom sent him to FL for the winter. My mom’s ancient TB, who’s been retired for a solid decade and thus does not get clipped, is a wuss about cold even with a full coat of hair. Ink, my 34yo QH cross, is too old to generate much body heat so he gets a blanket (but gotta be careful with him because he has anhydrosis so if he gets hot he can’t tell you). My general rule of thumb is that horses handle being cold better than being hot, so when in doubt, I under-blanket. But every damn horse I have has different needs and I just spend a lot of time thinking about what those needs are. AND ALSO if they are going to be wet, or it is going to be windy, I bring them in. Do I need to? I dunno. But it makes me feel better, and they look miserable in the wind (and I’m always afraid of dangerous things from the neighbors’ yards blowing into our paddocks or branches coming down). Soooo anyhow. That’s what I do. YES! This year was the first time I a) clipped Tristan and b) blanketed him heavily. He spent his whole life being a horse that never, ever, ever wore a blanket, even living outside 24/7 in Vermont winters, and then something changed with his Cushing’s. He colicked from the cold. When we piled on the blankets and felt underneath them, he was cozy but not too warm. So he’s been living in piles of blankets so far this winter! If I’d held on to any strict rules, he would be a miserable, skinny horse this winter. The thing is about the anti blanket era – is that they use “nature” as their reason why. Horses never lived where it was super cold as wild animals. That is my exact same pet peeve as well. To me, you have to throw the all naturale argument out the window when you start asking horses to do tempi changes and jump 8 fences in a certain order… those things aint natural! I think it’s important to be realistic about your routine. I body clipped Miles last winter, and again this fall, but we haven’t been working that hard and he’s not getting sweaty. So instead of clipping him again, I’m leaving him au-naturale. And honestly, I think it works better for him. Of course, he doesn’t have that thick of a coat, so he still gets plenty of blankies because I am totally THAT mom. Totally agree with you! I haven’t blanketed mine at all in a couple of years, but did prior to that due to the climate and boarding situation I was in. I may do so again, who knows? I blanket very conservatively. Harley has a full coat and is out 24/7. I only blanket when the temperature drops below 20 degrees Fahrenheit. I started blanketing him four years ago, because he lost condition really badly one winter. Despite this, he has never shivered and seems cheerful even in extremely cold weather. I am of the opinion that most horses do not need a blanket. Of course the are exceptions and a clipped/old/sick/hardkeeping horse obviously has different needs than a hardy type. I absolutely agree! I don’t think there is a right or wrong answer. Coming from QH world I see a lot of horses that I personally think are overblanketed, but I don’t think it is killing them either so to each their own. Estella is only blanketed if it’s under 40, but she also has 24/7 turnout access. As much as people think she needs to be in a stall when its cold, she loves the sunshine and I would like to think she is smart enough to go wherever she feels most comfortable. There are several blanket issues that are MAJOR pet peeves of mine. My #1 issue is over blanketing horses that aren’t clipped. I have neighbors that literally have blankets on their unclipped horses when it’s 60 degrees out. It makes me want to scream. When in doubt, it’s better for them to be a bit chilly than HOT. Rant over…. Anyways, I think that most horses with full coats that are healthy and in good weight do not need a blanket if they have access to shelter from wind and unlimited forage. However, if horses do not have a shelter, a blanket will help protect them from the wind. My polo ponies are turned out for the winter. They have full coats, round bales, and shelter. I do not have to blanket them. However, my jumpers are fully body clipped and ALWAYS have some kind of clothing on in the winter. When we take away their coats, we take away their natural ability to keep warm and blanketing becomes essential. My #2 pet peeve is seeing body clipped horses that are cold. It’s very cruel to clip a horse and not sufficiently blanket it. I agree with you! Currently, my fat, fuzzy, retired horses are living out 24/7 without blankets. They have access to a huge shed and they have free choice hay. They also live in the back yard so I can and do check them often, including in the middle of the night. Even when it was snowing sideways with intense wind at midnight, they were choosing to stand outside their shed and neither one was shivering. They seem happy and they are toasty to the touch. In the past, when Ozzy was in conditioning for endurance riding, I had him clipped and blanketed. The first winter we had Dancer, he had come from a heated barn and had no hint of winter coat. We blanketed him extensively, fed him warm mash, and even brought him in on the coldest nights. The second winter, he did grow a coat and was able to live without a blanket comfortably. I am with you on not pushing your agenda over horses’ needs. All horses are different, and while they are way better equipped to handle cold weather than many people realize, I don’t see blanketing as unnecessary or (even more extremely) wrong/evil. My thought on this (as with everything else) is that as long as the horse is happy, healthy, and loved, the other stuff is petty. I think your views are spot-on! Different horses have different needs, just like people do. Last winter, I didn’t clip Moe or Gina and they weren’t doing anything. They lived in a friend’s cow pasture with a round bale and didn’t seem to be bothered by the cold or wind. They got medium weight blankets when the wind chill was down below zero. This winter, they’re both partially clipped because they’re both in work. They’re turned out about 12 hours a day, stalled (with a large dry lot off the back of the stall) the other 12, and blanketed when temperatures are around freezing. Different situations call for different actions! Now, how do we go about cross-posting this to EVERY equine community in the WORLD? Because every word of this is true!! Totally agree with you! My super sensitive TB is wearing two heavy weight blankets and neck covers right now while the draft-cross he is turned out with is wearing a medium weight. Each horse has their own needs. It just depends on the horse like you and so many have said. I live in North Dakota. It’s cold here. Often it is really, really cold. I haven’t blanketed my horses once this winter. When they want to get out of the wind they go into their shelter, but most of the time they are camped out around the round bale feeders, stuffing their faces. As long as they are eating, they are warm. I check on them all the time and I’ve yet to catch them shivering. They have very fuzzy winter coats this year. Last winter I blanketed two of my horses. 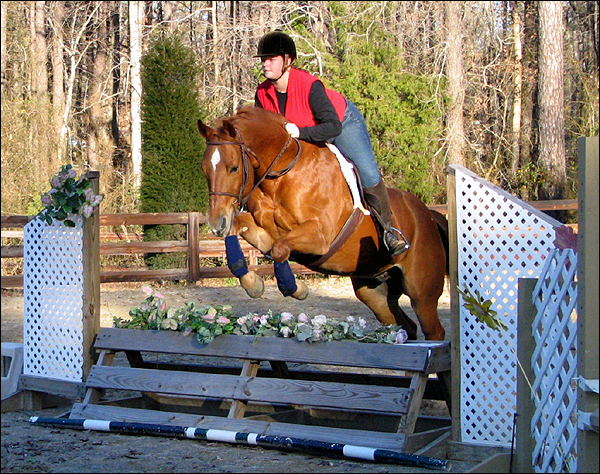 One was my ancient old man horse that didn’t have the best body condition and my OTTB George who was a bit ribby. I didn’t want to worry about either of them burning valuable calories to try and stay warm. I have no problem blanketing them if I feel that they need blankets. But so far they have let me know that they are doing just fine with out them. Every horse is different. Each of my three is on a different blanketing/no blanketing routine. The only constant with me is that I hate shedding and will shave them down when they start that crap. Yup, gotta agree with everyone here – it completely depends on the individual horse , where they are, what type of metabolism they have, clipped or not, etc etc. That said though, I actually just bought my first NEW blanket ever! I’ve always liked to err on the side of too cold than too hot, but I’ve now come to realize that my horse actually needs a blanket sometimes. Granted, only when it’s single digits all day and only then she only needs 100g…but still, it’s new to me! Agreed. Each one has his own needs. I lean prettttttty far to the side of natural, and mine are still clipped and blanketed. Or well, O is clipped and blanketed, P is clipped because I’d rather she put her calories into making a baby instead of trying to keep warm. She would much rather be naked and runs when I have a blanket in my hands. If she were hairy I’d definitely leave her naked, but she has a summer coat pretty much year round. My two horses are the exact same as yours!! Bacardi is the sturdy dude who prefers outdoors and Yankee is the princess who would rather be inside. As far as blanketing goes…its really difficult to categorize this. NO horse is the same, no schedule is the same and no human is the same! We all have our reasons and ways. Personally, I clip my horses because they sweat like pigs even in winter. 1, helps for cool-down (personal agenda I guess) but 2, keeps them from overheating during work (keeps them more comfortable) and 3, I’ve noticed with OTTBs its easier to regulate their weight when you can control the blanketing. Seems counter productive, but I’ve noticed. NOw there are horses that do just fine being wooly and naked. I’ve owned several QHs like that. I tried it with Lilly (my current old lady QH) and she dropped weight like crazy. Tossed a blanket on her and she gained weight like *that*. Love the post, and love the answers! I’m in full agreement. My herd to get rugged in winter, but extremely lightly- like, a light lined canvas is about the heaviest they get. It doesn’t get very cold in Australia, and I would prefer to increase feed rather than risk them getting too hot. I may clip Archie this year, in which case he will be rugged to his eyeballs. Agree! Was so nervous to leave Wilbur unblanketed this winter- didn’t want to end up a blanket slave. So glad I did! He’s furry!!! Sydney came from a barn that believed in 24/7 au natural turn out. I was warned that she didn’t do well in a stall, and got a good eye roll at the mention of blanketing. Not only does she love her stall, but she also seems to enjoy her blanket too, or at least she isn’t destroying it! I prefer her (and any horse) not being outside in thunderstorms, hail storms, snow storms, but won’t bawk at turning horses out in rain and light snow. nice post – and nice points! i agree completely that you need to approach each horse as an individual and assess their needs accordingly. Agreed with your stance! My jumper is a princess who prefers the outdoors only on the finer days and while wearing 35 layers. He is NOT shy about letting you know he has had enough of this outdoor business thank you VERY much. (Usually this takes 1-3 hours; he is happier to stay out in summer, though not much. There are BUGS, quelle horreur.) he will also get irritable if I “abandon” him for several days, don’t bring him his special cookies, or spend time with other horses where he can see it. And ONLY warm to hot water for his majesty if we are bathing either in summer or winter. He also far prefers being tacked and groomed under the heat lamp at the barn rather than anywhere else. I guess I don’t blame him! Whereas my (now ex) dressage princess, despite being the most sensitive horse alive, preferred 24/7 turnout with a good rug. Also one of those you could basically abandon for 30 days and he would be thrilled. He loved the 24 hour turnout life so much he never really did want to come in. He would probably have been fine without blanketing, but he was always clipped, and our winters are cold. agree 100% with your post – it’s about YOUR horse, not the agenda. Jingle is in 24/7 turnout, but the weather has been so crazy lately +10 to -30C in the matter of days, that he stays in atleast a light blanket at all times to keep him protected in those crazy swings. I have friends that despise blankets and friends that put three blankets on a horse in +20C… to each their own. When I learned how bad the wind is where Q and Griffin live I realized I needed to start blanketing. They have NO shelter to escape the elements out there. If they had a shelter, I would likely blanket less, but as it is, I’d rather blanket and have them not be wet and cold from the wind. They hold their weight better than any other horse out there and they’re not getting that many extra calories. They’re the only ones with blankets! Their precious calories go to keeping on weight, not keeping warm. That’s how I like it. I agree totally that you have to let the horse tell you what works for them! Luckily Addy doesn’t seem to really notice- she’s not too fuzzy since she’s blanketed, but she seems to regulate her own temp pretty well regardless of how many blankets she has piled on.